An extreme Fixed Olympic Bench Press for the extreme Bench Press trainer. The F-FOB Fixed Olympic Bench Press is a solid, heavy duty Olympic Bench Press built to be STRONG and SAFE. With barbell hooks static weight tested to handle beyond 300kg, this bench is designed with the serious athlete in mind. Commercial grade padding and upholstery provide a comfortable workout throughout your exercise movement and constructed for longevity. Even after 300kg was left on the weakest point of the backrest for an extended period of time the padding recovered immediately after the weight was removed. 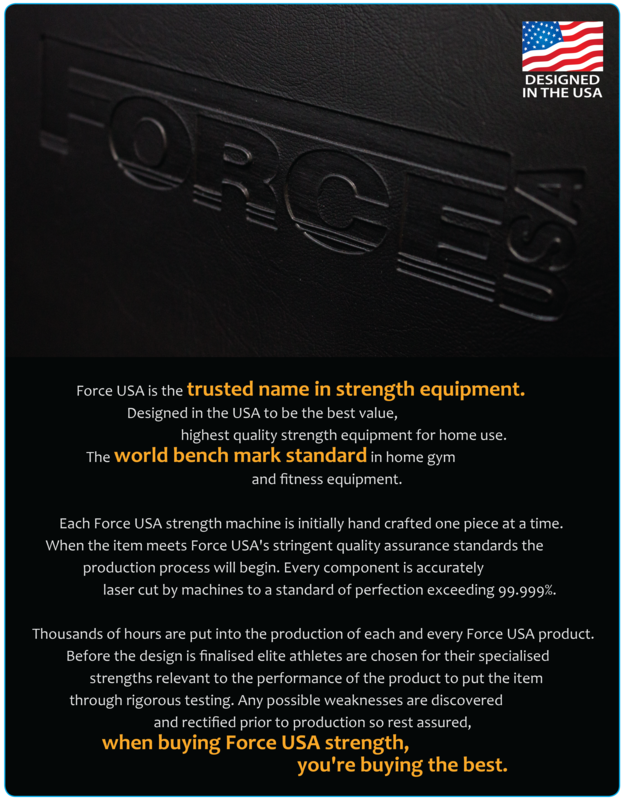 The Force USA Fixed Olympic Bench is unmatched in its class and will give you solid and intense workouts for many years to come! 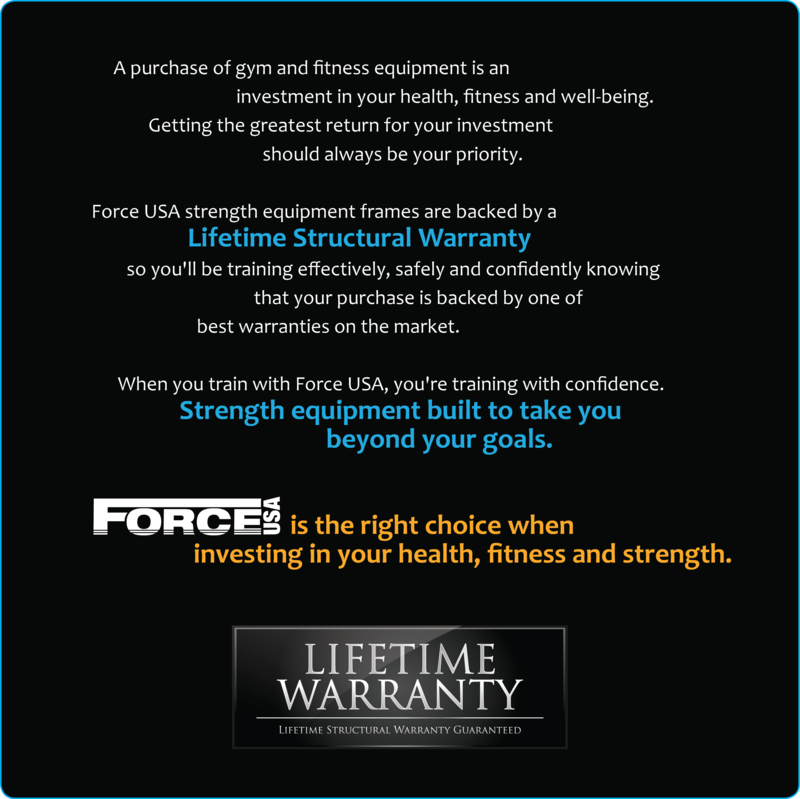 Perform free-weight exercises knowing you are safe with reliable adjustable safety catches you can workout to failure and push your muscles to the max! Get a full-body workout with the strongest and most versatile Fixed Olympic Bench available. Built following IPF and IWF specifications. Class A", Lifetime Structural Replacement Warranty along with 2 years parts warranty on all cables and pulleys. Absolutely the best, strongest weight bench I’ve ever owned. It was delivered promptly, well wrapt and all parts fitted together perfectly! I can thoroughly recommend this company for value, service and quality products!!! Good strong bench good value for money easy to put together can't go wrong. Recently bought this bench press from Gym and Fitness. Delivery was on time and assistance was great. Also received the product in flawless condition. Overall, this is an awesome equipment which I now consider the best in my personal training studio. I don't know why it had to take this long before I finally purchased a Force USA product, but I'm happy I took the chance. The construction is solid and high quality! I was a bit skeptical about buying an equipment online but two of my great friends highly recommended that I purchase from your store. Bought this two months ago so I think my thank yous are long delayed but yes, thank you Gym and Fitness for the quality service. You are now my go-to online store.